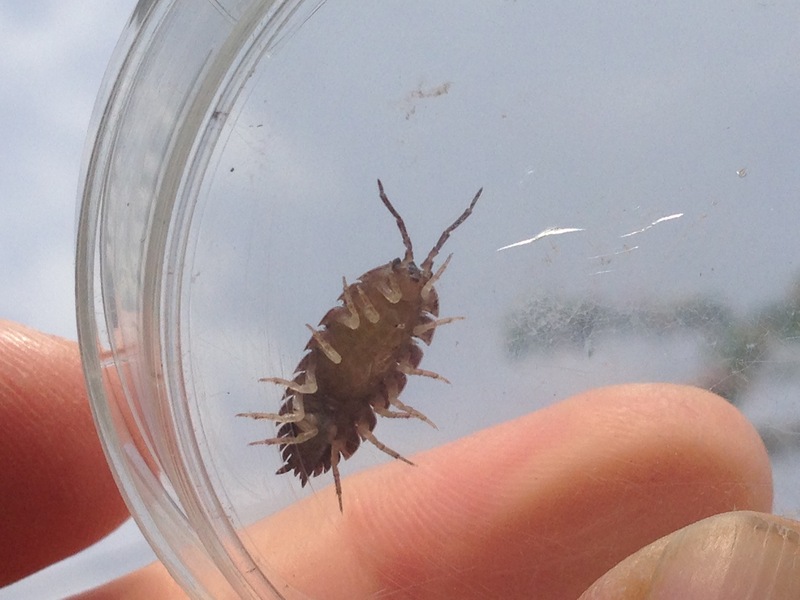 Students closely observe wood bugs and their body parts, and learn about their life as a crustacean on land. 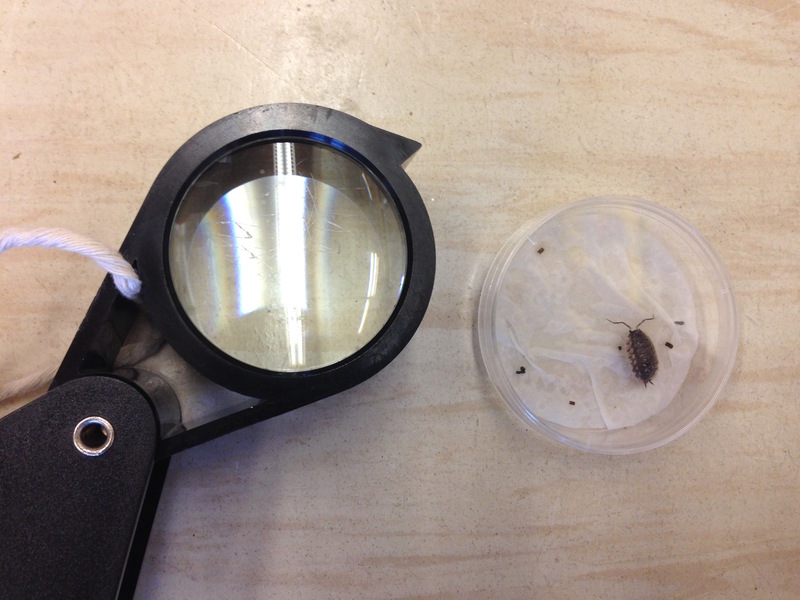 Set-up prior to experiment: a box magnifier, the bottom lined with damp tissue and containing a live wood bug, for each student. Keeping the wood bug sealed in the container, students look at them closely, and draw what they see. Class discussion, led by what students notice. Points to include: colour, body parts of wood bugs, and how each of these might help the wood bugs survive. They are a colour that makes them well camouflaged in the dark brown and grey places they are often found. Wood bugs have 14 legs - they are crustaceans. Wood bugs have antennae for feeling around and smelling. They have an exoskeleton to protect them, which is made from segments. Only some wood bug species are able to roll into a ball. Wood bugs are closely related to ocean-living crustaceans such as shrimp. Like these ocean animals, they have gills - using them to extract oxygen from water (the gills are the flat white structures underneath near the tail). Because of this, they always need to be in a moist environment, and will die fast if they dry out. Sometimes the eggs under the female can even be seen. 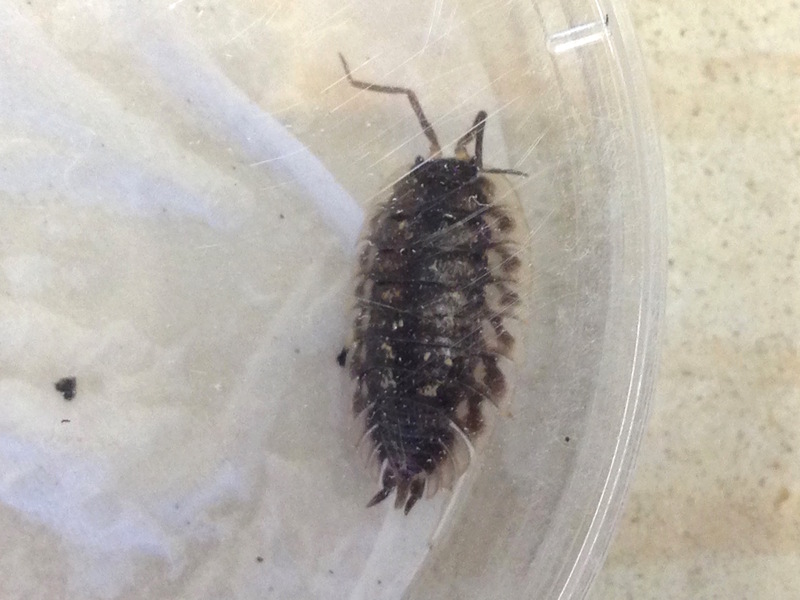 For my lessons, I believe I found wood bugs from these three families: Oniscidae, Porcellionidae and Armadillidiidae (pill bugs, which roll into a ball). Reference: http://en.wikipedia.org/wiki/Woodbug General information on wood bugs, including photos.